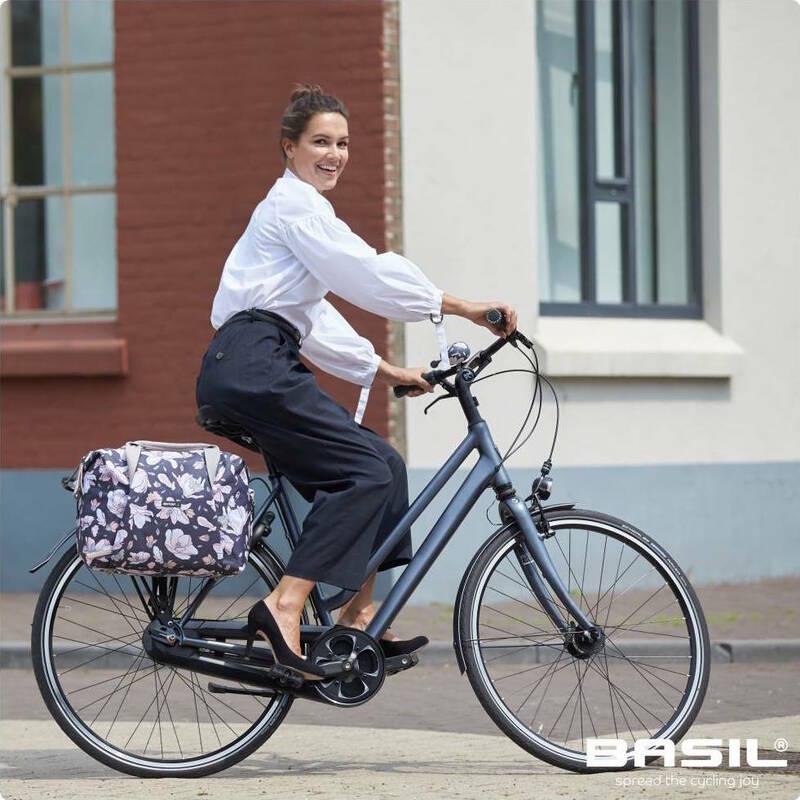 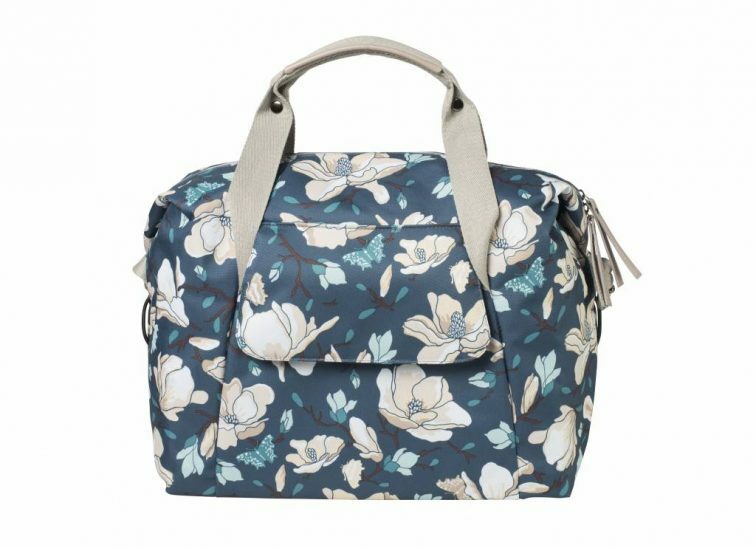 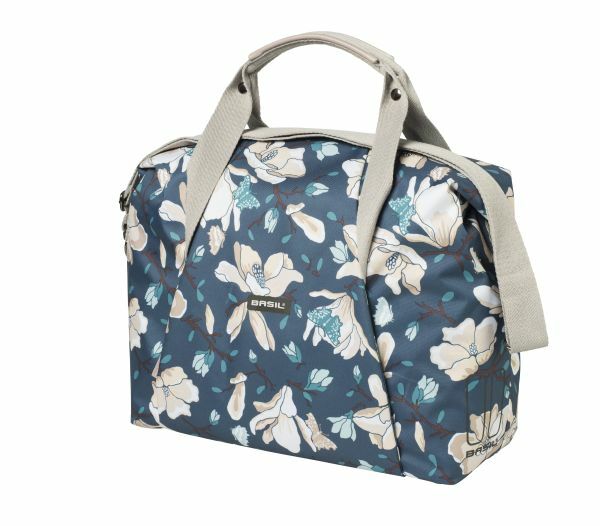 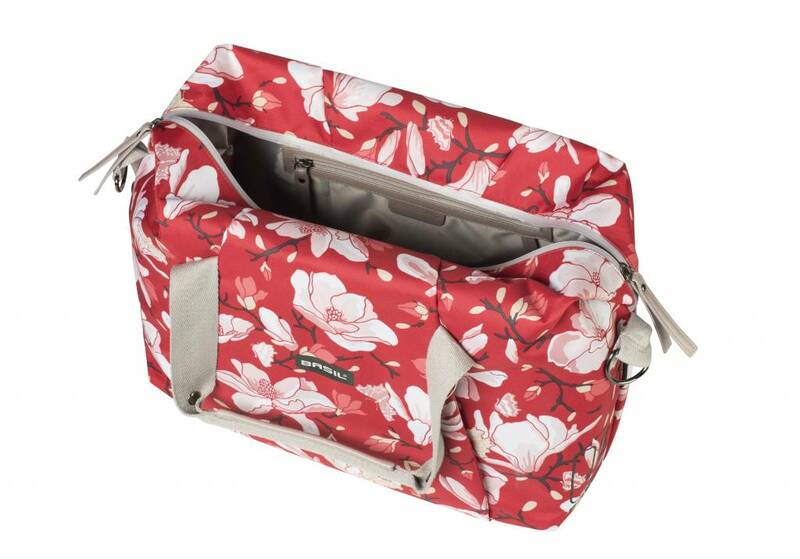 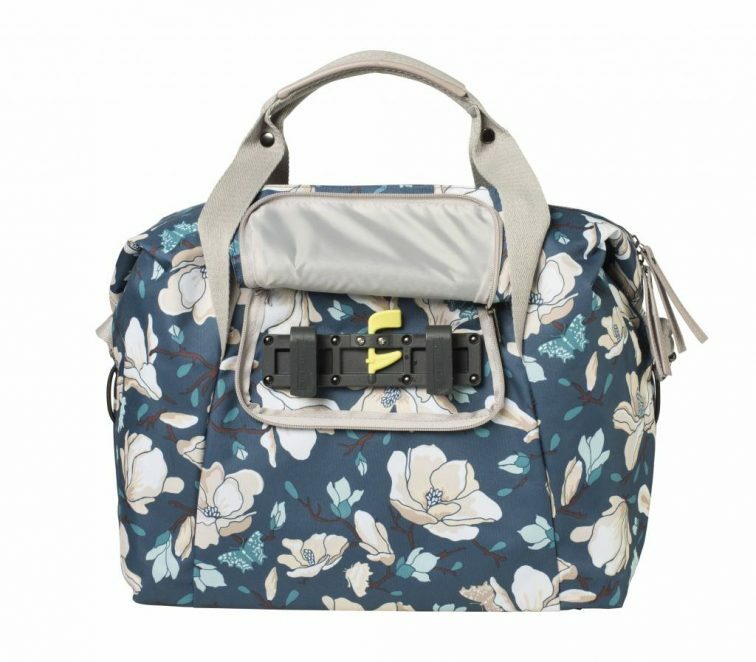 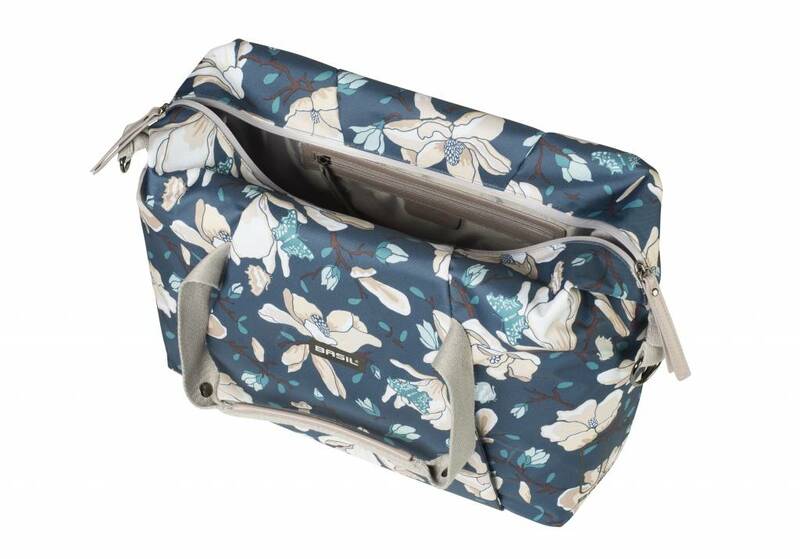 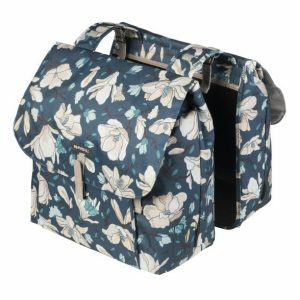 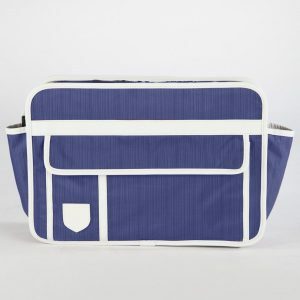 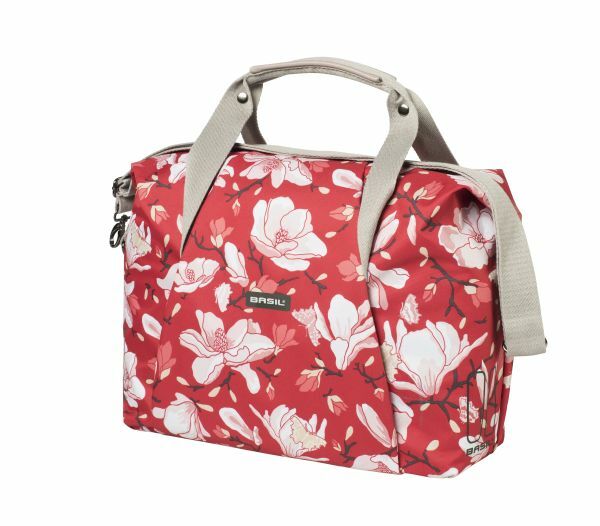 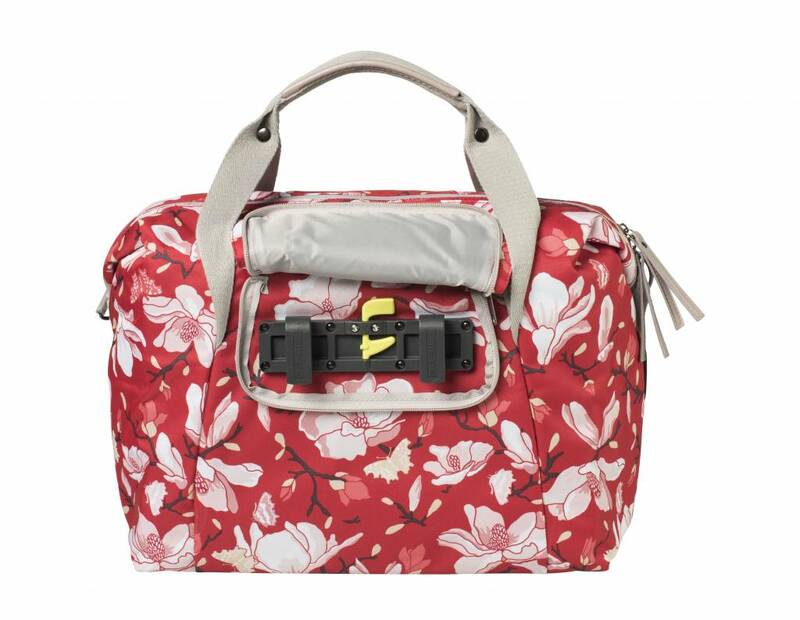 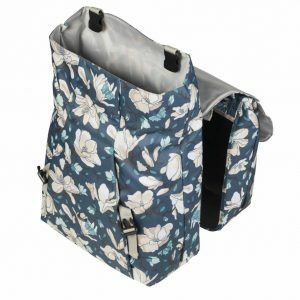 The Basil Magnolia Carry All Bag is a bicycle shoulder bag with a total capacity of 18 litres. 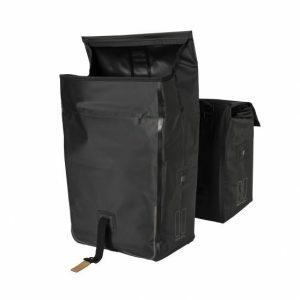 The included rain cover helps keep your contents safe from the elements. 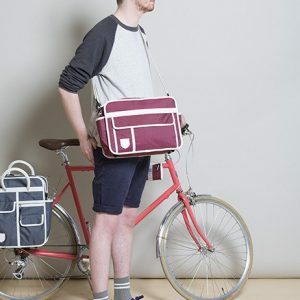 This bike bag is easily attached to your luggage carrier and can be carried about your person with the shoulder strap. 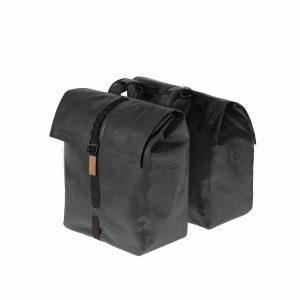 Reflective details keep you visible in the dark.